Semi-trucks are unwieldy to drive—and they present different challenges depending on whether they are empty or heavily loaded. However, in all cases, operators will need to give themselves more room to stop than normal vehicles would under similar circumstances to avoid an accident. The guide offers advice for when to lay on the brakes. What Is the Ideal Stopping Distance? Two factors tend to have the most impact on stopping distance—driver awareness and load weight. 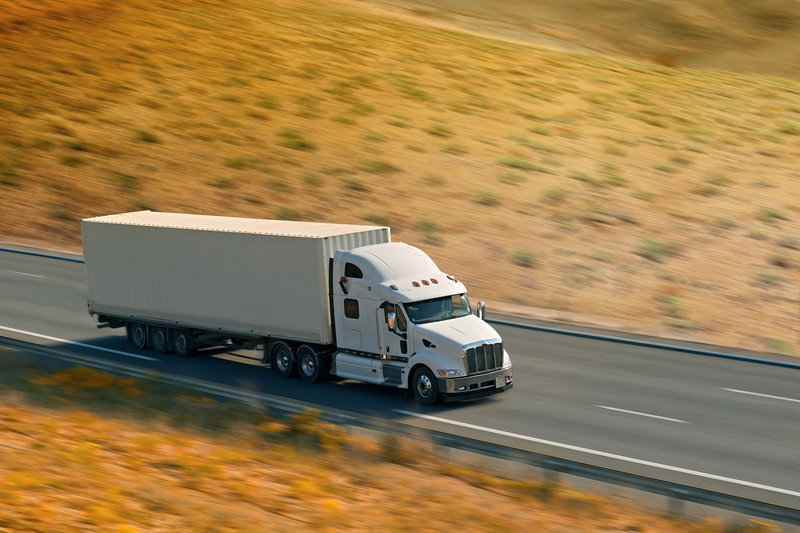 In clear conditions, a rested and alert semi-truck driver going about 60 miles per hour will need approximately 235 to 250 feet to completely stop a truck carrying 70,000 pounds or less. For heavier loads and more than three axels, begin pressing on the brake 310 feet from your goal. These stopping distances are required by the National Highway Traffic Safety Administration. What Other Factors Affect Stopping Distance? Semi-trucks weigh over four times that of the average passenger vehicle, which is why they need more room to come to a complete stop. On declining planes, trucks will require even more stopping distance due to the extra velocity they pick up going downhill. Rainy, snowy, and icy weather make the roads slick, which makes sliding and skidding more likely, so leave a few extra car lengths of stopping room in these conditions. When you operate a semi-truck, always go the speed limit. Drive defensively, and make sure you’re well rested each time you get behind the wheel. Maintain your vehicle by having a truck mechanic inspect the brakes a couple of times per year, replacing the pads when necessary. Check the pressure of your tires regularly, too, and keep them inflated to the proper levels. The next time you need heavy duty truck parts and repairs, get in touch with the team at Hobbs Spring & Suspension. For nearly 20 years, these truck mechanics have provided new and used truck and trailer parts, suspension work, and brake repairs to clients throughout Hobbs, NM. Call (575) 393-3051 anytime you need emergency services. Visit them online to request an estimate.